Here is my mystery. 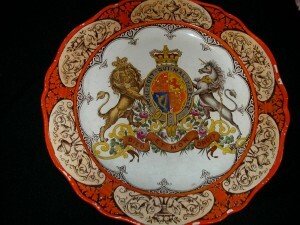 A plate fired by the Wedgewood company. It was my grandmother’s most prized possession, and also her secret possession. As you can see, it appears to show the Royal British Coat of Arms. In my attempt to unravel the mystery, I have contacted the Wedgewood Museum, and had others contact Wedgewood, but to no avail. They do not respond. I’ve also tried other British museums, but the ones who do respond have little to no information. I was able to learn that it was fired a few years before or around the time of my grandmother’s birth, so it could have been given to her parents. It is also some type of private commission which means it was not sold commercially. The skinny black lady in the back is my great grandmother. 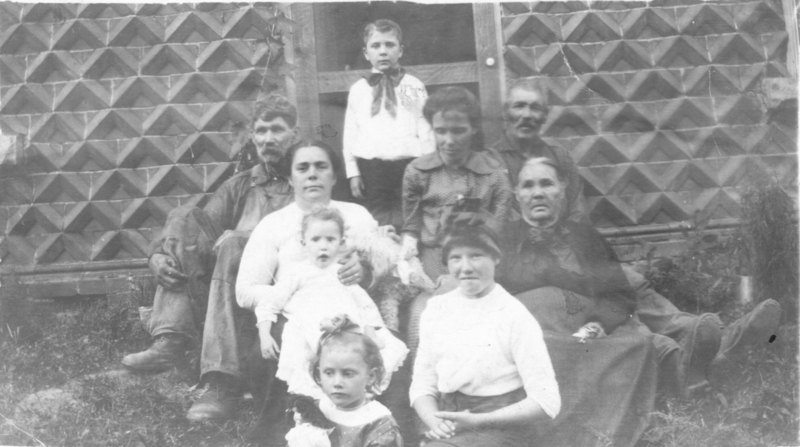 The girl in the front holding the doll is my grandmother. This entry was posted in genealogy, mystery, royalty and tagged bone china, British Coat of Arms, genealogy, holy grail, mystery, royalty, Wedgewood on July 12, 2013 by admin.